The Goods and Services Tax regime came up with a number of returns to be filed by the taxpayers. One such important return that the taxpayer cannot miss out on is the Annual Return: GSTR-9. Majority of the traders or businesses registered under GST are supposed to file this return. 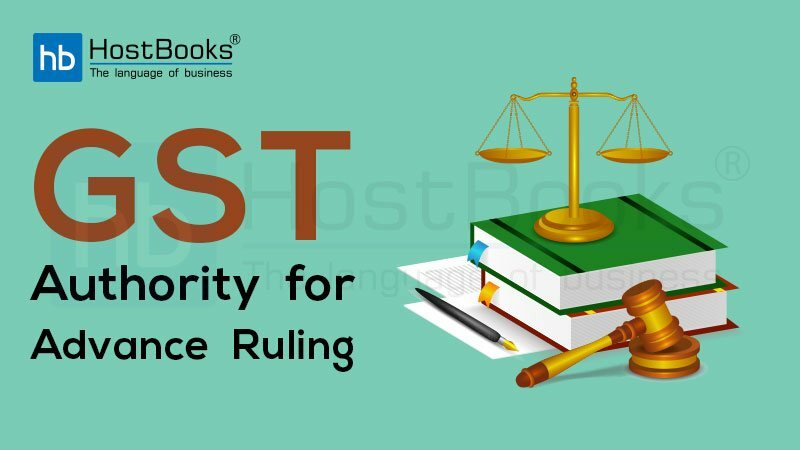 Here in this blog post, we will discuss what GSTR-9 is all about along with the eligibility, due date, the format prescribed and the penalty that is to be paid in case of failure to file the return. What are the other kinds of Annual Returns? 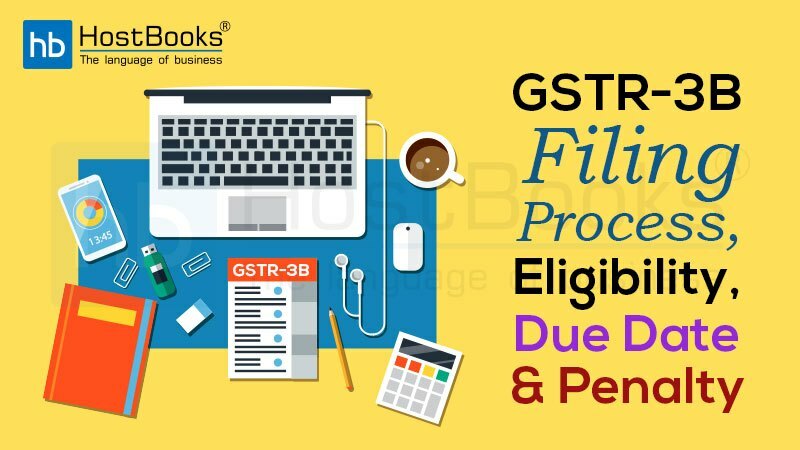 What is the due date for filing GSTR-9? What is the format of GSTR-9? What is the penalty for late filing of GSTR-9? GSTR-9 is also known as the “Annual Return”. A taxpayer under GST has to make a declaration of all the supplies made by him on a monthly basis. GSTR-9 is a return where all the transactions done in that particular Financial Year are declared. Simply put, it is a consolidated return for all the supplies done in a year. This is filed by those taxpayers who have opted for the Composition Scheme. This return is filed by those e-commerce operators who had filed GSTR-8 during the year. This annual return is filed by those whose annual turnover exceeds the limit of ₹ 2 crores. GSTR-9C is also known as the audit form. Such taxpayers also need to get their accounts audited and file a copy of the audited annual accounts, reconciliation statement of tax already paid along with tax payable as per audited accounts. The Annual Return GSTR-9 should be filed on 31st December of the subsequent financial year. The due date for FY 2017-18 is December 31, 2018. Let’s first discuss the various parts of GSTR-9. This includes the basic details of the taxpayer which are auto-populated. The details of both outward and inward supplies declared in the FY are included in Part II. In other words, this part contains the consolidated summary from all the GST returns filed in the previous financial year. 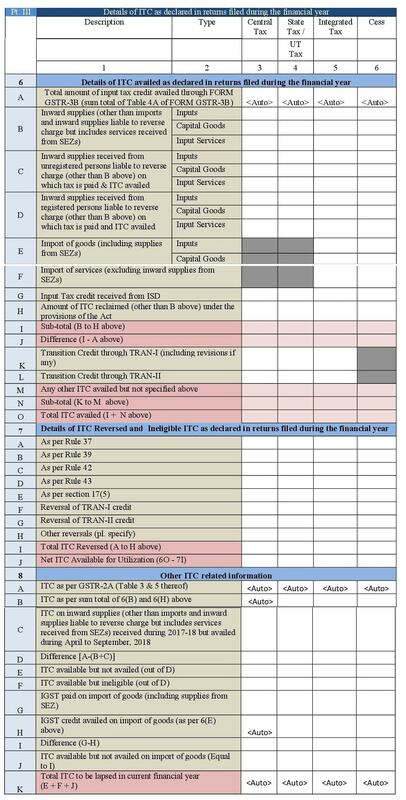 This part contains the details of the Input Tax Credit (ITC) declared during the year. The details are nothing but the summarized values picked up from the filed GST returns. The details of the tax already paid in the financial year are included in Part IV. 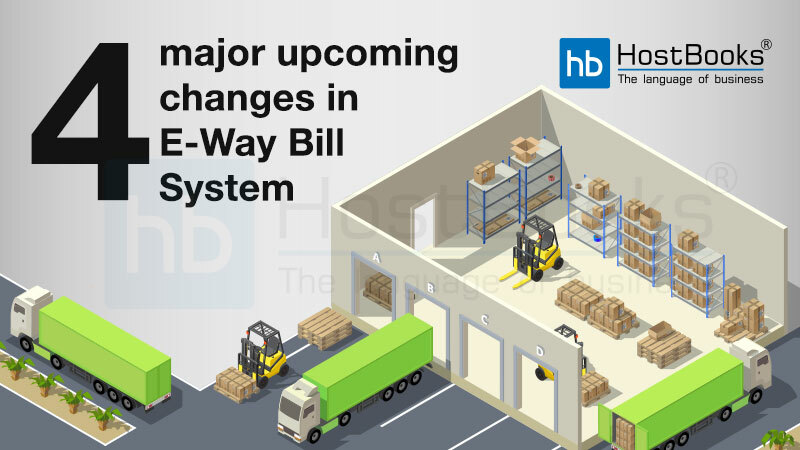 This part includes the details of the transactions for the previous year declared in returns of April to September of the current financial year or up to the date of filing of annual returns of previous financial year, whichever is earlier. 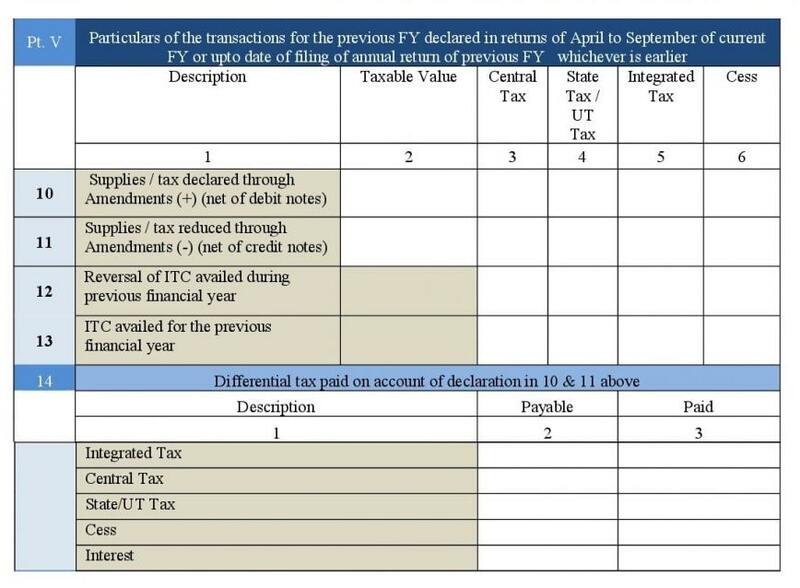 The summary of amendment or omission entries with respect to previous financial year but reported in the current financial year would be declared here. 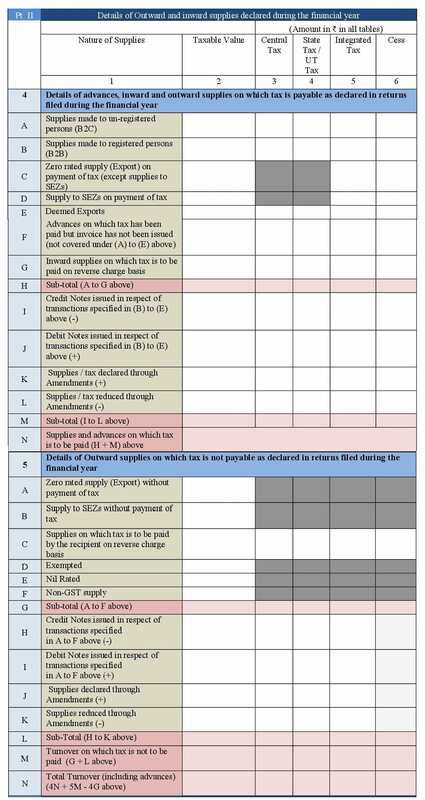 HSN wise summary of the quantity of goods supplied and received with its corresponding tax details against each HSN code. Late fees payable and paid details. 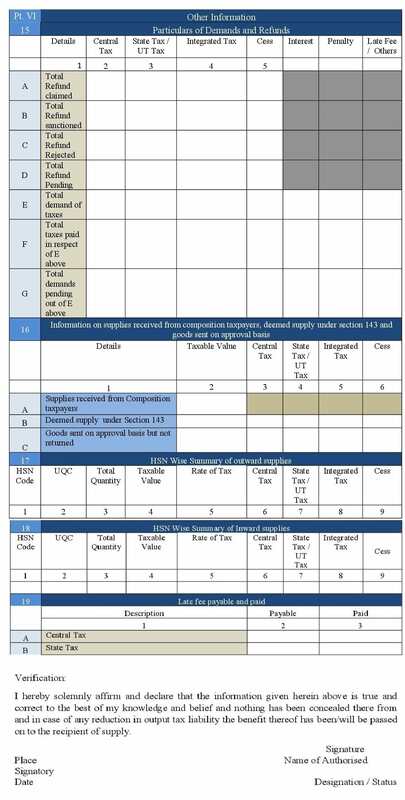 Segregation of inward supplies received from different categories of taxpayers like composition dealers, deemed supply, and goods supplied on approval basis. 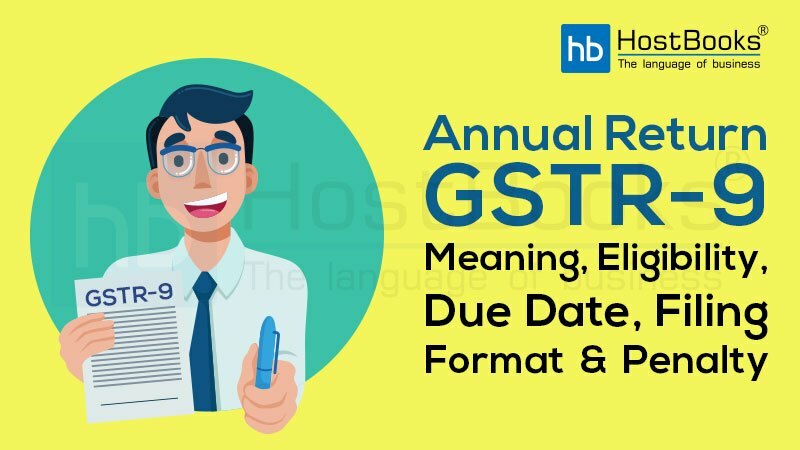 Here is the complete format of the Annual return GSTR-9 which will provide with a deeper insight into the various parts stated above. The taxpayer has to be really careful when it comes to the filing of GST returns as timely filing saves him from heavy penalties. In case a taxpayer doesn’t file his GSTR-9 on time, then he is liable to pay a penalty of ₹ 200 per day containing ₹ 100 each under both CGST and SGST Act. The penalty, however, cannot exceed 0.25% of the total turnover of the taxpayer in the respective state or UT. The Annual Return is one of the most important returns as it contains the details of all the transactions that took place in the financial year. Hence, this calls for cautiousness along with responsibility on the part of the taxpayer. It’s really important to file GST returns on time to avoid penalties and also to remain in the good books of both the clients and the Government. 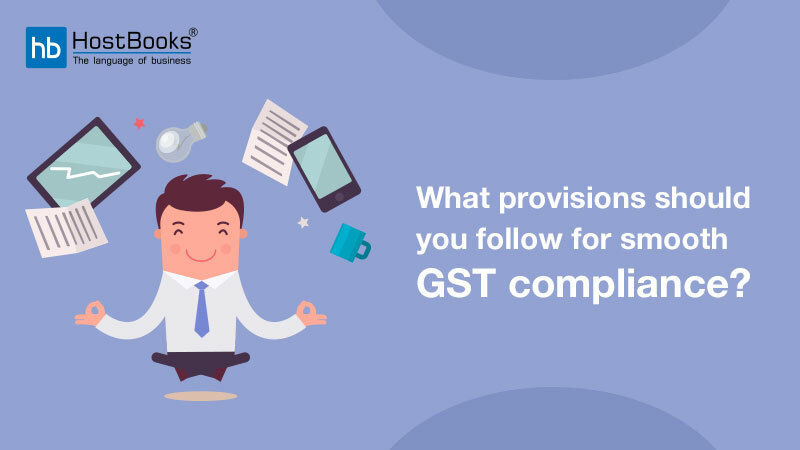 What Provisions Should You Follow for Smooth GST compliance? 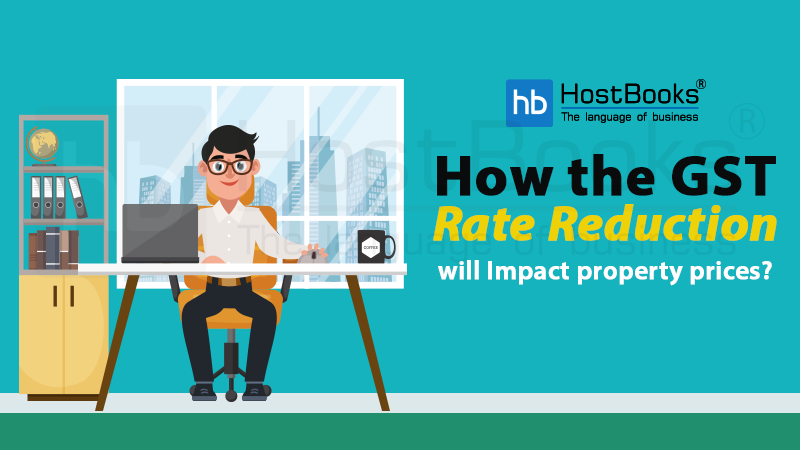 How the GST rate reduction will impact property prices?